Cool your senses and serve calming and refreshing drinks this summer. 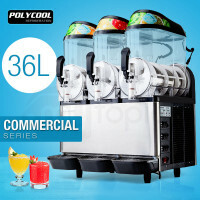 PolyCool has entered the Aussie market and launched a terrific line of slushy machines to soothe you. Available in 24L and 36L models, these machines are a must to serve ice fresh smoothies and other satisfying frozen drinks to your guests. Whether for commercial or personal use, PolyCool Slush Machines won't fail you. These are fashioned from BPA-free components to ensure that the Aussie industry hygiene standards are met. Durability is also not a problem. Featuring shock-proof containers as well as a high-quality secop compressor, you can definitely use the machines for a long time as compared to other similar products in the market. Expand your customer network and add traffic to your business. Featuring a stylish stainless steel design, these slush machines can be integrated with any store design. Perfect for store counters, you can surely serve over 100 cold drinks to your customers. With easy to use operation, switching from juice mode to slush mode can be done in no time. Save yourself from the hassle of having ice blockages. The freezing drums feature dual beaters to prevent ice from building up in the containers. 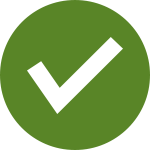 Eliminate the need for regularly checking the drinks. The containers are lit by LEDs, allowing users to easily view if the juices are ready to be served. Boost your profits. Entice more customers to your store. Beat the heat and serve calming drinks through Mytopia's Commercial Blenders. Level up your store operation and complete the dining experience of your customers. Use Mytopia's Deep Fryers, Induction Cookers and other Kitchen Appliances and offer mouthwatering dishes to your guests. What are you waiting for? Order now! 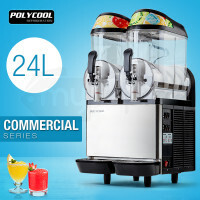 Reasonably priced and with 12 months warranty on us, PolyCool Slush Machines are surely the answer to your need!